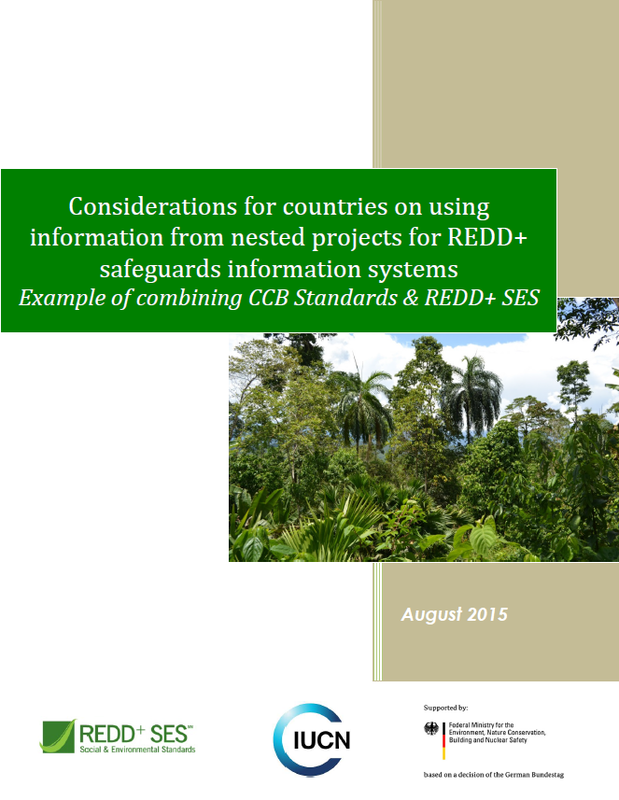 This publication aims to assist governments that are developing safeguards information systems (SIS) for their REDD+ strategies and action plans on how to collect and utilize information from nested projects. It provides some considerations on collecting and using information from projects that are using the Climate, Community & Biodiversity (CCB) Standards for a country-level SIS. An analysis is provided of the specific case about how information from projects using CCB Standards can be provided for SIS in jurisdictions using the REDD+ SES principles, criteria and indicators framework. The publication is complemented by a separate case study on using project information for a country SIS in Peru and the Region of San Martin prepared by Conservation International - Peru.